The March 9th total solar eclipse looked stunning at the time. But now a team of researchers has put together an even more impressive image of the solar corona, that makes the event look like something from Lord of the Rings. 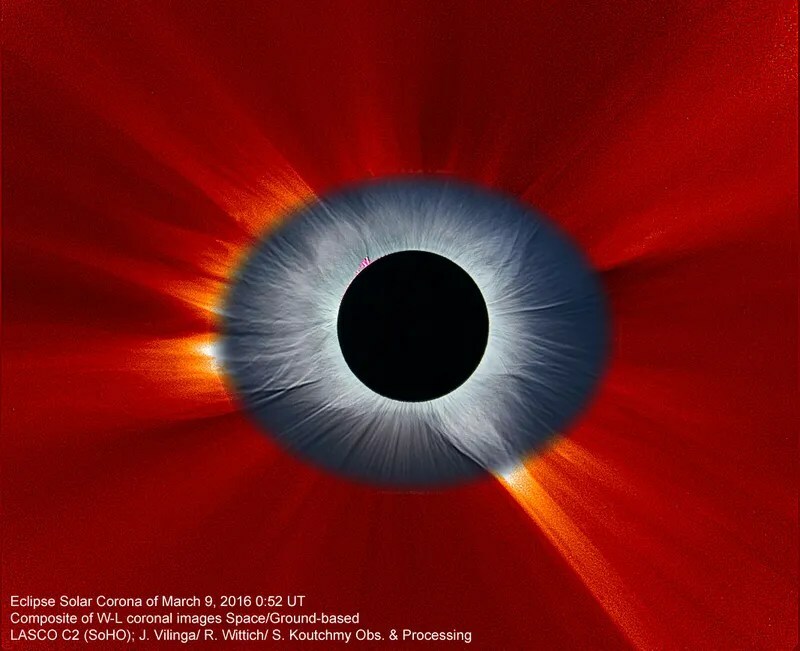 The picture actually combines two images of the solar corona: The red section was viewed from space, acquired by the Sun-orbiting Solar and Heliospheric Observatory (SOHO) spacecraft, while the blue part was viewed from the ground. The overall effect resembles the Eye of Mordor—or should that be the Eye of the Solar System?